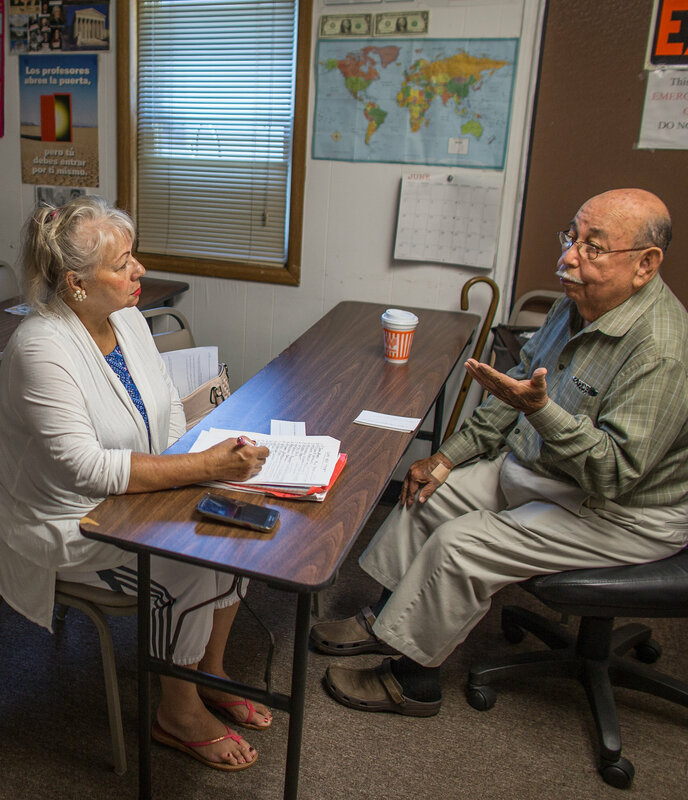 If you are interested in Volunteering with the Adult Reading Center, please fill out the application and background check to the best of your ability. Please note that some fields are required. We will review your completed application, do our best to match you in your area of interest and the available times you indicated. Once the Disclosure Background Investigation and References are checked we will quickly schedule your orientation/interview so you can begin volunteering. Please call us at (281) 485-1000 for questions or concerns. Please list three people who know you well and can attest to your character, skills, and dependability. Include your current or last employer. I understand that this is an application for and not a commitment or promise of volunteer opportunity. I certify that I have and will provide information throughout the selection process, including on this application for a volunteer position and in interviews with the Adult Reading Center that is true, correct and complete to the best of my knowledge. I certify that I have and will answer all questions to the best of my ability and that I have not and will not withhold any information that would unfavorably affect my application for a volunteer position. I understand that information contained on my application will be verified by the Adult Reading Center. I understand that misrepresentations or omissions may be cause for my immediate declination as an applicant for a volunteer position with the Adult Reading Center or my termination as a volunteer. Pursuant to the federal Fair Credit Reporting Act, I hereby authorize The Adult Reading Center and its designated agents and representatives to conduct a comprehensive review of my background through a consumer report and/or an investigative consumer report to be generated for volunteer service, reassignment or retention as a volunteer. I understand that the scope of the consumer report/investigative consumer report may include, but is not limited to, the following areas: verification of Social Security number; current and previous residences; employment history, including all personnel files; education; references; criminal history, including records from any criminal justice agency in any or all federal, state or county jurisdictions; birth records; motor vehicle records, including traffic citations and registration; and any other public records. I authorize the complete release of these records or data pertaining to me that an individual, company, firm, corporation or public agency may have. I hereby authorize and request any present or former employer, school, police department, or other persons having personal knowledge of me to furnish The Adult Reading Center or its designated agents with any and all information in their possession regarding me in connection with an application of volunteer service. I am authorizing that a photocopy of this authorization be accepted with the same authority as the original. I understand that, pursuant to the federal Fair Credit Reporting Act, if any adverse action is to be taken based upon the consumer report, a copy of the report and a summary of the consumer's rights will be provided to me.